Is That a Tweet on Your Belt Buckle or Are You Just Happy to See Me? What a time to be alive! The range of things you never knew you needed but absolutely must have expands at a breakneck pace, such that it’s now possible to pick up a belt buckle with an embedded LED matrix to scroll messages. We have no idea what the use case for something like this is, but some people will buy anything. One such person was a friend of [Brian Moreau], who doubled down after being gifted the glowing bauble by turning it into a WiFi enabled Tweet-scrolling belt buckle. It appears to be a just for fun project, and to be honest one would need a heck of a belt for the buckle after his mods. He added an ESP8266 to take care of monitoring his Twitter account and driving the display on the belt buckle, a non-trivial task given that the thing is programmed with only two buttons that scroll through characters to compose a message. The microcontroller might have fit inside the original buckle or only added a little to its bulk, but [Brian] decided to replace the two coin cells powering it with an external 6-volt battery pack. That required a buck converter to power the ESP, so the whole thing ended up being thrown in a case and acting more like a neat display than a flashy fashion statement. We’d bet some tradeoffs could be made to reduce the bulk and get that buckle back where it belongs, though. Once it does, maybe it’ll be part of a complete LED-laden ensemble, from head to toe. Since it’s launch way back in 2006, Twitter has become a magnet for techies. Maybe it’s the simple interface, maybe it’s the 140 character limit. Whatever the reason, you can find plenty of hackers, makers, and engineers tweeting about their daily activities. It didn’t take long for folks to start incorporating Twitter into their projects. Ladyada’s Tweet-a-watt is a great early example of this. This week’s Hacklet is all about some of the best tweeting projects on Hackaday.io! We start with [Henry Conklin] and A Twitter account for my dog. [Henry’s] dog [Oliver] loves to bark and finding a solution became his entry to The Hackaday Prize. Rather than bring Cesar Millan in, [Henry] decided to embrace [Oliver’s] vocalizations by sending them up to the cloud. A Raspberry Pi with a USB microphone uses some custom Python code to detect barks and ruffs. The Pi then sends this data to Twitter using the python-twitter library. The Pi is connected to the internet via a USB WiFi dongle. You can see the results of [Henry’s] work on [Oliver’s] own Twitter page! Next up is [troy.forster] and tweetie-pi. Rather than constantly check his phone or computer, [Troy] wanted a device to read his tweets. A bit of NodeJS code later, and tweetie-pi was born. 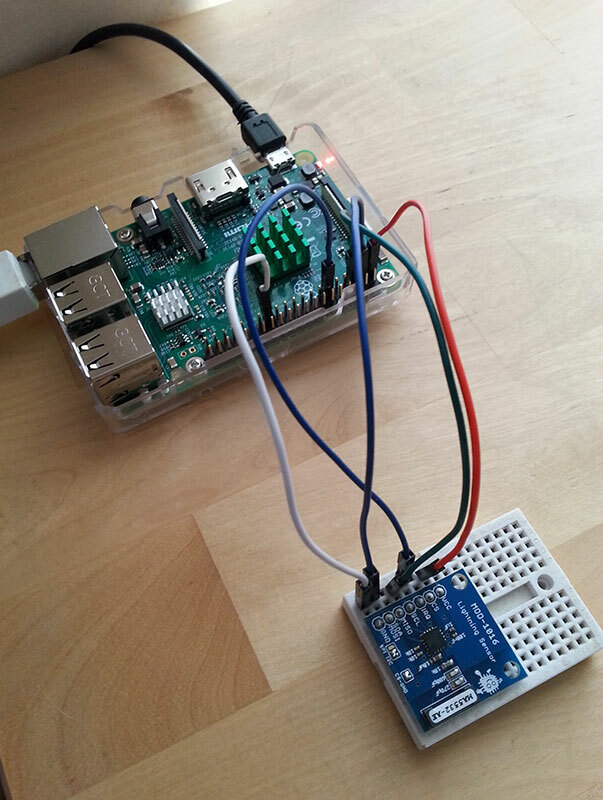 A Raspberry Pi connected to the internet pulls data through the Twitter stream API. When tweets directed at a pre-configured username are found, the data is sent to a an Emic 2 text to speech module. The Emic reads in that classic DECtalker style voice we all know and love from the movies. [Troy] even added code to properly handle usernames and retweets. [SirClover] joined the internet of things by creating Home automation system with Twitter, his entry in the 2014 Hackaday Prize. This home automation system is based around an Arduino Leonardo and an Ethernet shield. [SirClover] rolled his own custom PCB to handle relays, a Cds cell, and a 2×16 character LCD. The system can be accessed through a simple web interface. This allows the user to open or close blinds, turn on lights, all that great smart home stuff. Every time it executes a command, the home automation system reports status to Twitter. Finally we have [Jakob Andrén] with A danceable notification cube, which is [Jakob’s] entry in the 2015 Hackaday Prize. The cube itself is a translucent box that contains a metric crapton of LEDs. 148 Neopixels and 12 3W power LEDs to be exact. All these LEDs are driven by a Teensy 3.1, which serves as the main processor for the entire system. The Teensy reads position data from an MPU6040 IMU. This allows it to change brightness and color as the box is moved around – or “danced”. An ESP8266 provides the cube with data from the interwebs, specifically Facebook and Twitter. The cube lights up and flashes whenever it receives a message. If you want to see more tweeting projects, check out our new projects that tweet list. Did I miss your project? Don’t be shy, just drop me a message on Hackaday.io. That’s it for this week’s Hacklet, As always, see you next week. Same hack time, same hack channel, bringing you the best of Hackaday.io! A child filled game-launch event was happening in London and [Roo] was asked to use his serious making skills to construct a machine that would hit a pinata with a baseball bat. This is a great idea, well, because giving bats to a bunch of kids at a populated event probably wouldn’t end well. One of the characters from the game Skylanders is named ‘Painyatta‘ and that is whom the pinata is modeled after. Tweeting #HitPainyatta initiates a bat swing. The swing tweeter gets to keep any treats that happen to fall out. The physical machine is pretty simple. Most of it is made of MDF and wood. A large base supports a tall, skinny box. Mounted on top is a large stepper motor with a long wooden arm holding an aluminum bat. Once a tweet came in, a moderator would check for offensive content (hey, there are kids around) using a custom Twitter API app, and if acceptable, the tweet would be displayed on an LED matrix while an Arduino controlled a stepper driver to spin the motor and swing the bat. The folks at Manifold created their version of a tweeting bird feeder, and [Chad] wrote up a behind-the-scenes of their design. The goal is something we’ve seen before: When the bird lands to eat, take a picture and tweet it. In this case, they had some corporate money behind the project, and that allowed them to buy a nice solar panel and battery pack to keep the whole thing running. The write-up is full of the experimentation that we all enjoy: They found that detecting motion through the camera feed wasn’t reliable, so they switched over to a PIR sensor. The PIR sensor was too sensitive to heat changes during the day, so they went with an ultrasonic rangefinder, but wind caused issues there. They finally came up with a solution which involves using two sensors to confirm motion. This seems a bit more complicated than it needs to be, but it works well for them. We think it is nice to see companies getting behind quirky projects. All told, they spent dozens of hours on this, and they chose to give all of their findings back to the community in the form of thorough explanations and project diagrams. It would be nice to see more of this. The weather in Colorado hasn’t been the best lately, so the birdhouse hasn’t been tweeting for a while. In our experience, a project that’s turned off is in the dangerous position of being scavenged for parts. Hopefully that isn’t the case here, and we will see it back in action when Spring starts.